Lung transplantation is an effective and life-prolonging therapy for patients with advanced lung disease (ALD). However, long-term patient survival following lung transplantation is primarily limited by development of an inflammatory and fibrotic process involving the lung allograft known as bronchiolitis obliterans syndrome (BOS). Although the precise cause of BOS remains uncertain and is likely multifactorial, chronic aspiration of gastro-duodenal contents is one possible contributing factor. 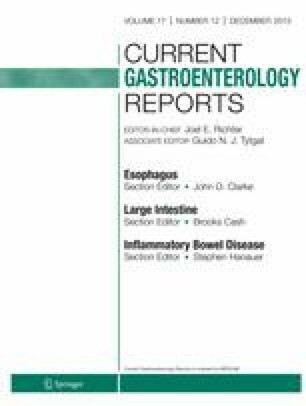 Multiple small, cross-sectional studies performed over the past two decades have reported a high prevalence of gastro-esophageal reflux disease (GERD) and esophageal dysmotility in the ALD population and several investigations suggest the prevalence may increase following lung transplantation. More recent studies evaluating the direct effect of gastro-duodenal contents on airways have demonstrated a possible biologic link between GERD and BOS. Despite the recent advances in our understanding of BOS, further investigations are needed to establish GERD as a causative factor in its development. This review will discuss the existing literature that has identified an association of GERD with ALD and post-transplant populations, with a focus on recent advances in the field.